The Regent’s Canal towpath connects with the stationary winding engine vaults via an access tunnel built in 1837 that must have been used to convey coal to the vaults during their brief period of use. It is doubtful whether its use involved horses; more probably bottom or side tipping trucks were pushed along light rails to convey coal from the canal to the vaults. As part of remodelling works for Camden Goods Depot in c1855, two horse tunnels – the Eastern and Western Horse Tunnels – were provided under the embankment so that horses and personnel working in the goods yard could move to and from stables more safely beneath the tracks. They are of round-arched construction with cast-iron ventilation grilles placed regularly in the roof, originally the only source of light for the horses below. The Eastern Horse Tunnel (Grade II) has largely survived. 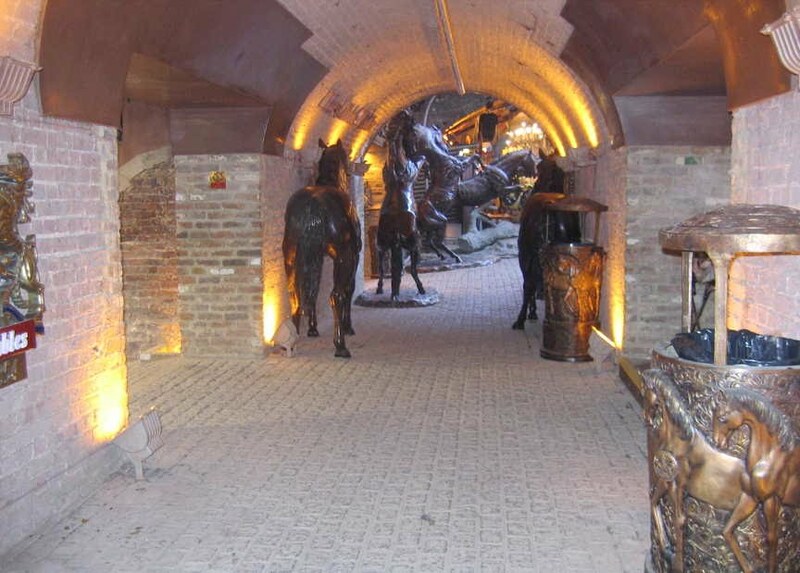 Spurs from the main tunnel that connected with the basements of the main goods shed and with vaults used for storage have been demolished, part as recently as 2006/7 when Horse Tunnel Market was built. At the northern end a length of the tunnel has been developed as part of Horse Tunnel Market, the only part of the tunnel accessible to the public. At the Oval Road end, the exit via horse stairs has been gated and incorporated into the social housing entrance in the development called Henson House. The Western Horse Tunnel has also largely survived. At its western end, where it formerly emerged as a ramp to the LNWR stables, the tunnel has been blocked at Gloucester Avenue, and part incorporated into a restaurant there. This is the only part accessible to the public, albeit in private ownership. 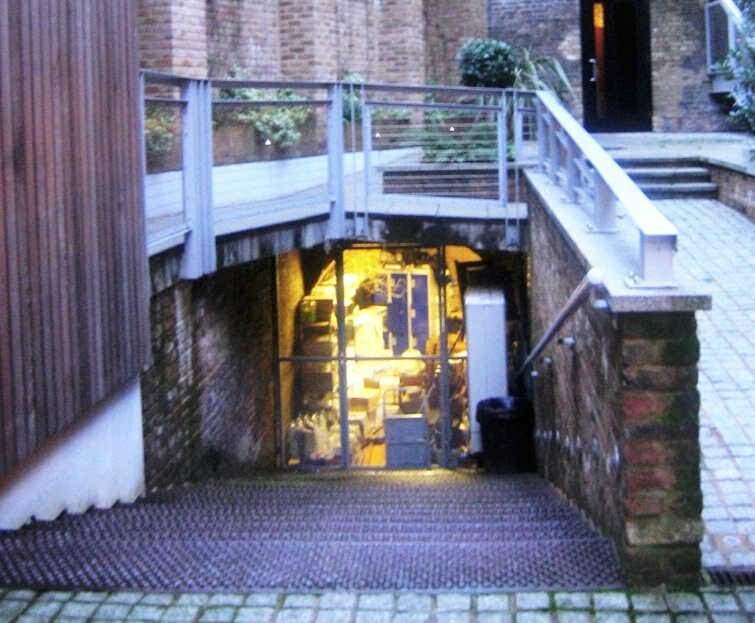 The horse stairs that connected the tunnel with Allsopp’s stables have been retained as part of the development at 42 Gloucester Avenue, as has the tunnel to the east including the horse stairs that now lead up into Gilbey’s Yard. The Western Horse Tunnel carries major electric cables, some of which lead into the empty carriage tunnel, via an 80 ft (24 m) deep access shaft. For more information see our History pages on Rope haulage on Camden Incline, Camden Goods Depot, Horses and Stables.